At Goldenfeast, we understand the unique dietary needs of pet birds. From African Greys and Amazons to finches and parakeets, Goldenfeast provides the best quality exotic bird food. For all ages and types of exotic birds. A non-traditional nut blend made with 40 ingredients. Does not contain peanuts. . .
Made for medium and larger sized parrots like african grey macaws and cockatoos. More than 35 scrumptious ingredients. Peanut free blend plus bee pollen chia seed and quinoa seed.. . . 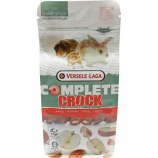 Blend of fruits vegetables and nuts plus wholesome grains. Medium and large sized pet birds like african greys macaws and cockatoos. Made with less corn and more delectable ingredients. . .
Peanut free!. For small to medium sized hookbills parrotlets to amazons. More than 40 ingredients are used in this nutritious peanut free blend.. . .
For all medium to large parrots. 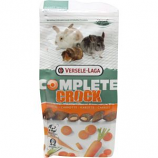 Contains herbs nuts beans fruits vegetables and more. Over 40 ingredients. An exotic bird favorite. .
All in 1 no selection. 100% extruded 100% appetite. Dental care. No cereals. Long fibers. All in 1 no selection. 100% extruded 100% appetite. Opti growth. Opti immunity. Opti digest. All in 1 no selection. 100% extruded 100% appetite. Animal protein plus. No cereals. Cardial protect. All in 1 no selection. 100% extruded 100% appetite. Animal protein. Cereal plus. Opti coat.